Postcard US-4029693 to Belarus shows a storm brewing in the Catalina Mountains at Tucson, Arizona. 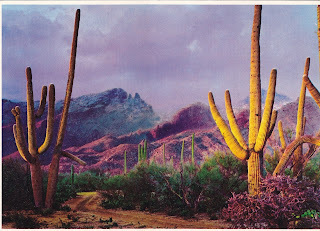 Snow can be seen on the mountain peaks behind the Saguaro Cactus. Photo by Ray Manley.